For more than 20 years, Enhance Construction, a licensed Raleigh, NC contractor, has been a leader in quality residential remodeling services in the Triangle. Our company has worked with homes of all types — from Victorian-era estates to contemporary townhomes — and we strive to deliver the same level of professional service to each of our residential remodeling customers. Whether you’re interested in adding a garage to your home or converting your porch to a sunroom, our team is committed to transforming your space into something you can truly enjoy for years to come. Need inspiration for an upcoming remodeling project? Browse through our project galleries to see images of our construction and renovation work in homes across the Triangle! Do you live in a historic neighborhood like Raleigh’s Historic Oakwood? 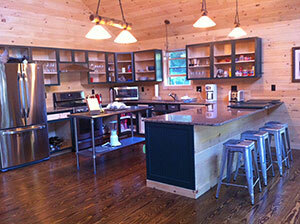 Unlike many construction companies in the Raleigh area, Enhance Construction specializes in historic home remodels. We are familiar with the rules and regulations of the national and state registers and can assist you through the often challenging legal aspects of restoring your historic Triangle home. When working with historic buildings, we make it our goal to preserve the timelessness of the space, all while ascribing to contemporary standards of functionality, safety and aesthetics, when appropriate. 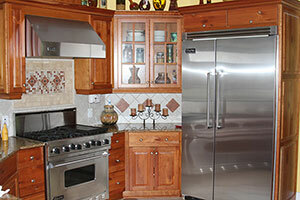 Interested in scheduling a free consultation on our Raleigh, NC residential remodeling services? Simply fill out the form to the right, and we will be in touch with you shortly to confirm your request. Enhance Construction is proud to be a leader in residential construction, renovation and remodeling services in the Triangle, delivering quality remodels to homeowners in Raleigh, Durham, Cary, Apex, Garner, Knightdale, Wendell, Zebulon, Wake Forest, Morrisville, Holly Springs, Fuquay-Varina, Clayton, Smithfield, Benson and surrounding areas in Wake County, Johnston County, and beyond.